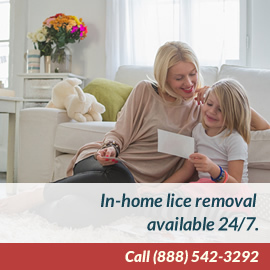 These Terms and Policies are hereby effective on November 19, 2014, and will apply to the website that you are visiting, LiceTreatmentCenter.com (the “Website”), which is owned by Lice Treatment Center, LLC (the “Company”). Location - Website accepts US-based transaction only. Currency - Website accepts US dollars only. Payment methods - Website accepts PayPal, Credit Card, or Debit Card. Secure checkout - Website operates on Bigcommerce's eCommerce framework, which utilizes all security features provided by Bigcommerce (ref.http://bigcommerce.com/). Sales Tax - Purchases in ALL states are taxed. You may return most new, unopened items within 30 days of delivery for a full refund. If the return is a result of our error (you received an incorrect or defective item, etc. ), Lice Treatment Center will also pay the return shipping costs. You should expect to receive your refund within four weeks of giving your package to the return shipper; however, in many cases, your refund will arrive sooner. This time period includes the transit time for us to receive your return from the shipper (5 to 10 business days), the time it takes us to process your return once we receive it (3 to 5 business days), and the time it takes your bank to process our refund request (5 to 10 business days). If you need to return an item, simply login to your account, view the order using the "Complete Orders" link under the My Account menu, and click the Return Item(s) button. You will be notified via e-mail of your refund, once we've received and processed the returned item. We can ship to virtually any address in the world, for orders outside the US please call. Note that there are restrictions on some products, and some products cannot be shipped to international destinations. When you place an order, we will estimate shipping and delivery dates for you based on the availability of your items and the shipping options you choose. All shipping options are provided through the United States Postal Service. Depending on the shipping options you choose, shipping date estimates may appear on the shipping quotes page. All overnight orders must be placed by 3pm the previous day in order to ensure on-time arrival. Please also note that the shipping rates for many items we sell are weight-based. The weight of any such item can be found on its detail page. To reflect the policies of the carrier we use, all weights will be rounded up to the next full pound.